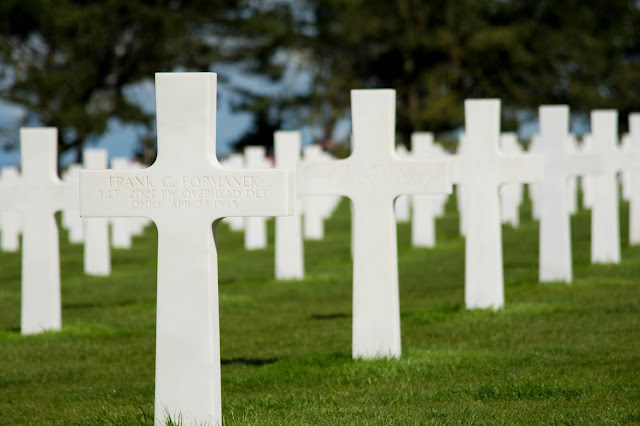 We finished the trip with a tour of the WWII sites in Normandy. Because we were only there for a day, we had a guide show us around. We thought we were getting a private guide, but when he showed up at our hotel he told us that he had double booked himself, and we would be joining a group of 6 other people....hmmmm. But turns out that was fine, because talking one on one for 10 hours would have been a little much. This way we had 6 other people for Jacque to engage. Jacque was around 75 years old. He was a child during the invasion, and was hit with a piece of shrapnel and nearly died. But he didn't--in fact, he told us that he hopes to die during one of his tours. He's certain that the people wouldn't mind--they wouldn't have to pay him for the day! He was quite the character. It started out a fairly rainy day. But the mood felt about right for the somber German cemetery. We next went to Sainte-Mère-Église, one of the towns involved in the D-Day invasion. 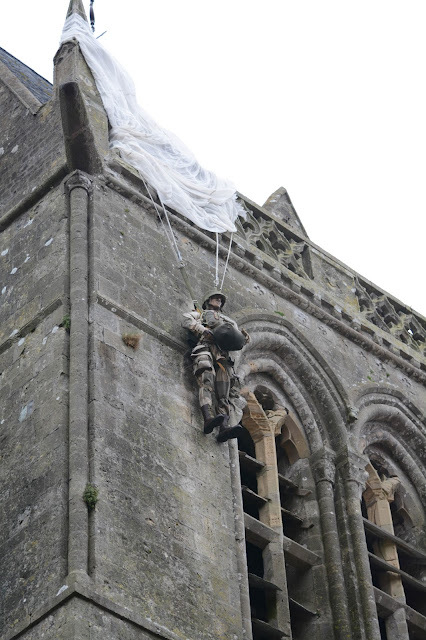 One of the paratroopers parachute caught on the spire of the town church. He hung there for two hours, pretending to be dead, before the Germans took him prisoner. When the church in the town needed a new organ, many years after WWII, they reached out to the American Veterans. 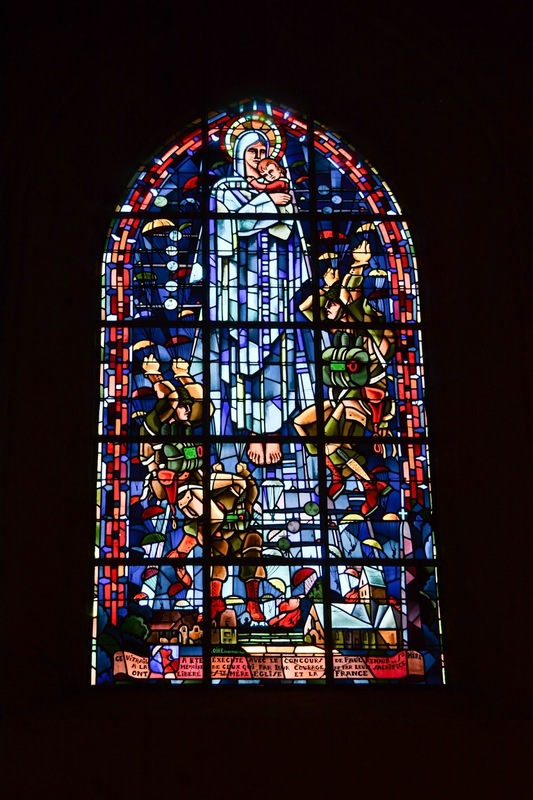 They received so many donations they added new stained glass windows and honored those who fought there. We went to a WWII museum. 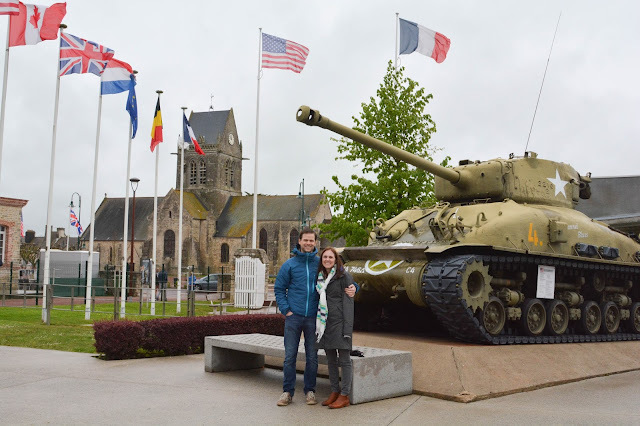 Jacques offered to take everyone's picture in front of the tanks...it was easier to oblige than to say no so there are an unprecedented number of pics of Ryan and I together. 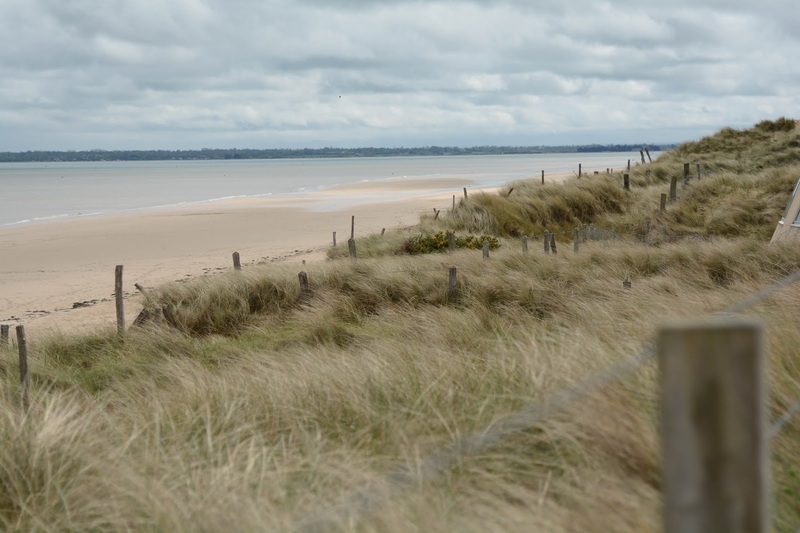 We next went to Utah Beach. It was really beautiful. 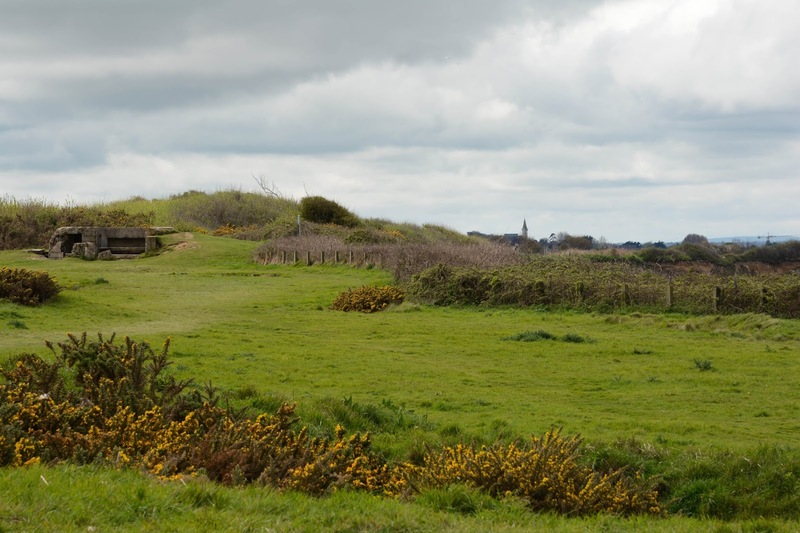 We ate lunch and then continued onto Pointe du Hoc. I was amazed at how much remained 70 years later. There were still German bunkers, depressions from the bombing and barbed wire. It was odd for the surroundings to be so beautiful and peaceful. 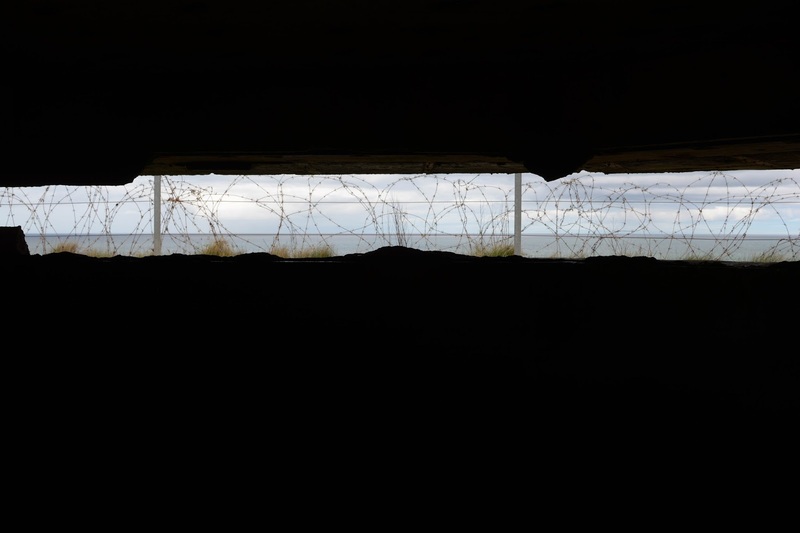 Inside a German bunker, looking out. 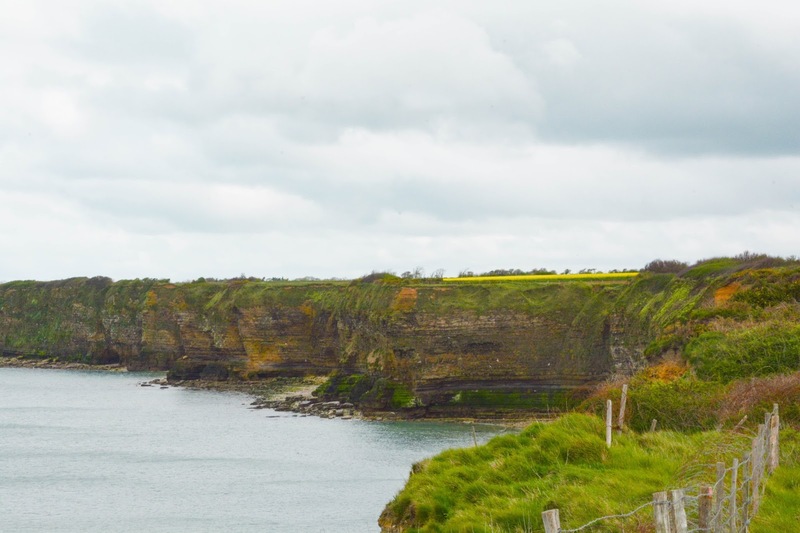 These are the cliffs that the Army rangers scaled. I was amazed that they could make it up, let alone under fire. 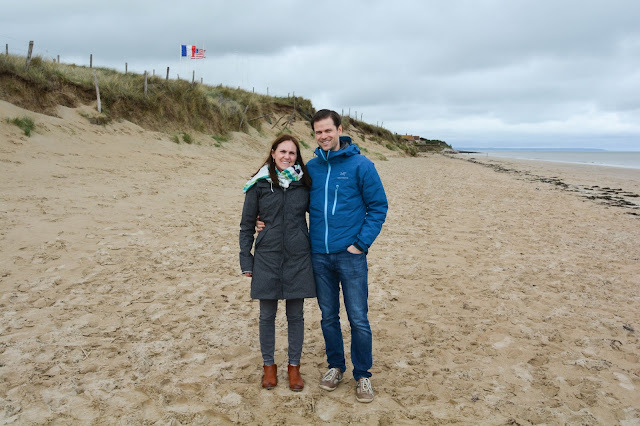 We went next to Omaha beach. This was the most meaningful part of the day for me. The sun had come out, and it was gorgeous. It was low tide, similar to conditions on the morning of June 6, 1944. Before the trip we had watched parts of Band of Brothers and Saving Private Ryan, and in my head I had images of what happened on these beaches. It truly felt like sacred ground. 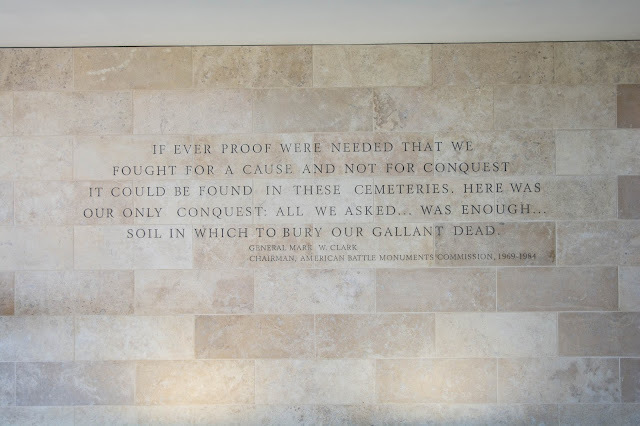 Our last stop was to the American Cemetery. 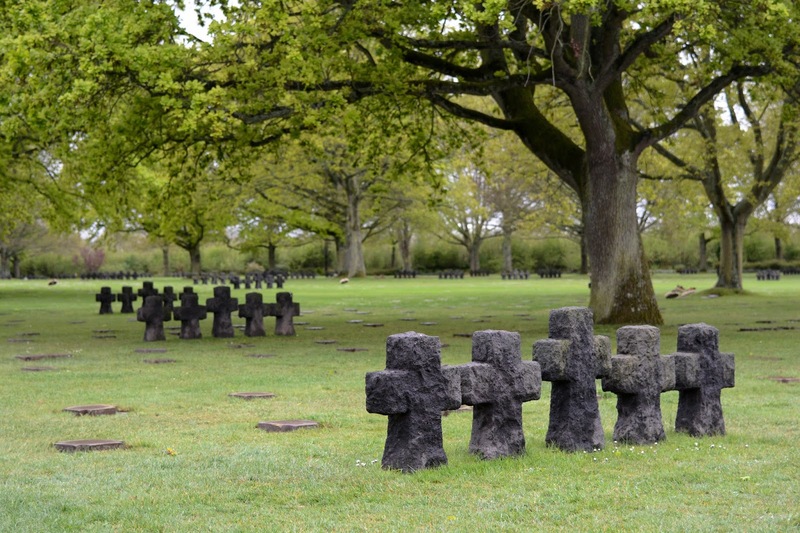 There is an interesting museum and then the iconic rows of crosses. It overlooks the ocean and is very peaceful and it made me proud to be an American. 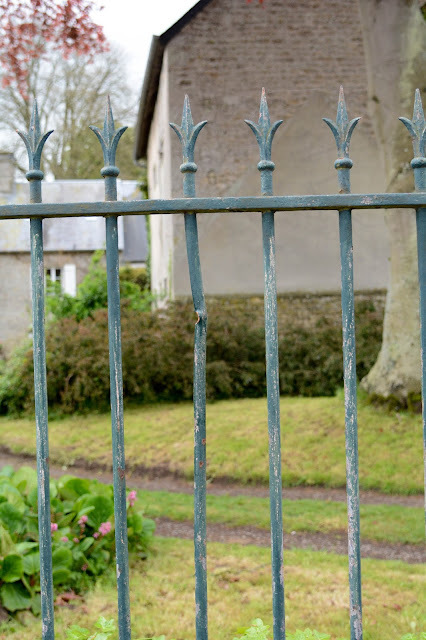 The most surprising thing about Normandy was the gratitude the people still feel. 70 years later, they still revere Americans. American flags fly all over the place. Jaques told us that if he ever gets pulled over for speeding, he speaks English and tells the officer that he is an American and his grandfather fought in WWII--and it works! Never in all of Europe have I felt so welcome.